Adidas is a Brand originating in Germany but now operating globally, which produces a whole range of sportswear. 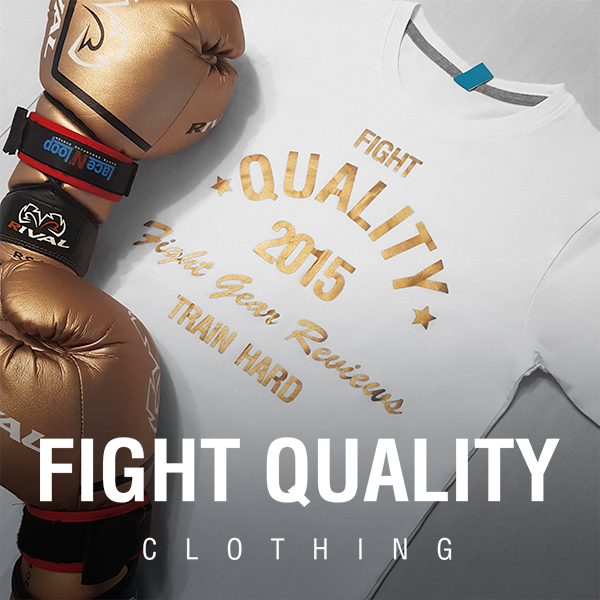 While they’re much more involved with other sports, they also produce some gear for combat sports, as well as a variety of other fitness equipment used by fighters. Skipping can be a major part of warm-up routines for fighters, with a number of benefits to your fight game. Previously I had been using a cheap skipping rope which recently snapped, so decided to invest a little more in something a little more reliable. The Adidas Weighted Skipping Rope Set is probably one of the fanciest kits on the market, with plenty of options to choose from, allowing you to switch between a light speed rope and a thicker weighted rope. You also have the options of adding the weighted inserts, for a slightly more gruelling warm-up. It’s clear that Adidas put some thought into the visuals of this set, as the whole lot is kept in a handy black carry case with a vibrant red inside. The Adidas logo tops it off, found on the inside and outside. The handles are mostly black, with 3 glossy stripes around them. When talking about skipping ropes, the visuals aren’t hugely important, but it is quite nice knowing you’re using something which looks good. The ropes themselves are made out of cable, coated in plastic. Both ropes are designed with different thicknesses and therefore work in completely different ways. These shouldn’t be snapping any time soon, however I’d be a little worried about using them on a hard or rough surface like concrete too often, as I can see the plastic coating wearing through. The top of the handle is designed to swivel as you skip, and it works well. It moves smoothly and allows the rope to travel quickly and without twisting at all. The handle is also has a gently curved shape, making it slightly thicker in the centre than at the ends, which helps get a good grip around the handle. The optional weights are either 2 x 50g inserts, or 2 x 100g inserts, although only one set can be used at a time. The ends of the handles un-screw, and the weights slide inside. Once they’re in, there isn’t any movement. Overall this is a really nice rope, and does a great job, with smooth movement, as well of the added benefit of being able to change up your skipping routine without having to buy a second or third rope. My favourite feature by far is the ability to add or remove weights. The extra weight can turn a short skipping session into a harder work out, getting the arm muscles a lot more involved. The speed rope is a lot harder to use with the weights though, and works much better on its own for a nice quick motion. Having a carry case is great for travelling with the rope, stopping the rope from untangling or wrapping round things like it would if thrown in a gym bag. It gives the whole set a much more premium feel, and also makes sure you have somewhere to carry the extra parts you aren’t using. On the flip side though, the case is designed to hold the rope and handles when they’re separated, so isn’t really ideal if you want to leave the ropes attached. The other issue with this skipping rope, is that the ropes aren’t adjustable. The attachments on the end which connect to the handles aren’t repositionable so there’s no way to shorten or cut the ropes. Thankfully I found the length fine, but frequent skippers will no doubt want to adjust the rope. This set retails at about £25, which is a hell of a lot more than other ropes on the market. That said, it’s the equivalent of having 2 different skipping ropes in one, as well as an extra carry case, so it’s not a huge stretch to see how it could be worth the price tag to some people. The set is probably far more advanced than most beginners would be looking for, but also lacks the adjustment in length that many advanced speed rope users may look for, so it’s really aimed at people looking for a more premium overall experience.